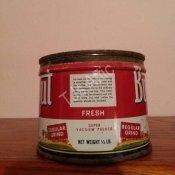 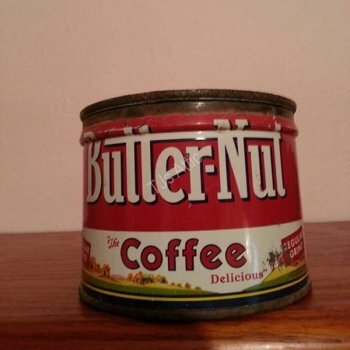 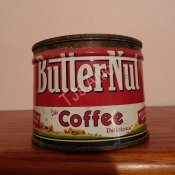 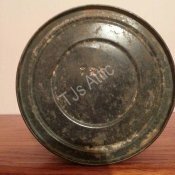 Nicely worn vintage Butter-Nut Regular Grind 1/2 pound coffee can. 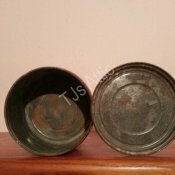 3" tall by 4" in diameter. 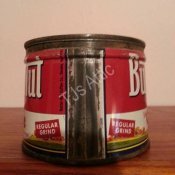 Rusty inside on on exterior base rim with some scratches to the exterior.